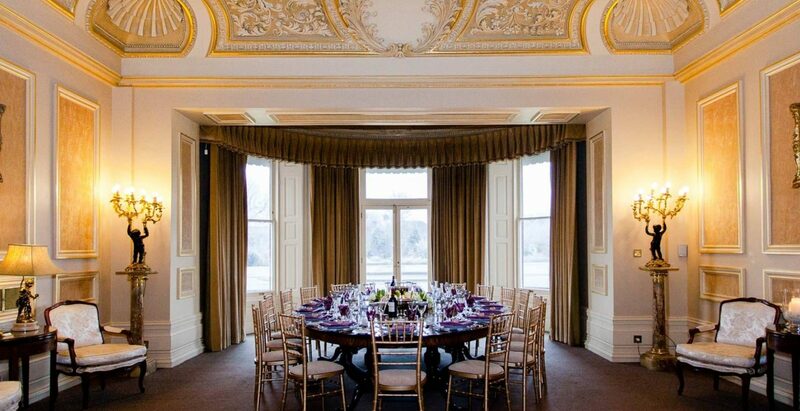 Wedding receptions at Fetcham Park allow you to relax completely and enjoy every moment of celebration with your family and friends at any time of year. 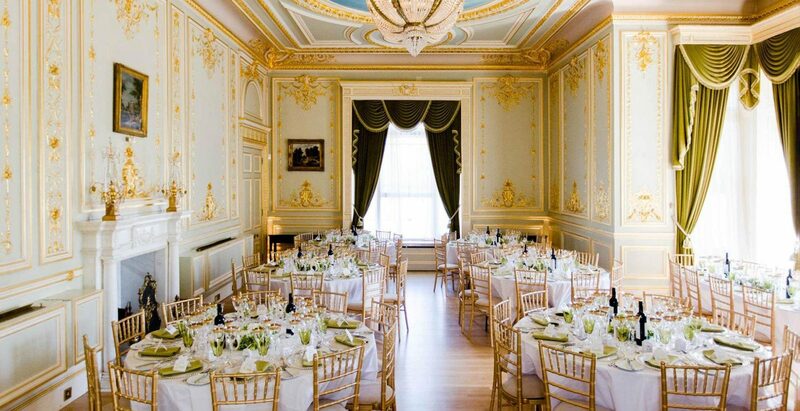 The Salon, decorated with thousands of books of real gold leaf and breathtaking architectural details, is a perfect setting for a wedding breakfast to remember. The Great Hall provides a wonderful space to dance the night away, whilst the elegant Shell Room is a more relaxed oasis in which to take a little time out throughout the evening. Every room enjoys impressive views across the gardens and fountains, which not only provide a beautiful backdrop for your drinks reception in the summer but also give your guests a tranquil setting to explore. Spectacularly lit in the evening, Fetcham Park looks equally as pretty by night as it does during the day. No celebration is complete without exceptional food and drink. 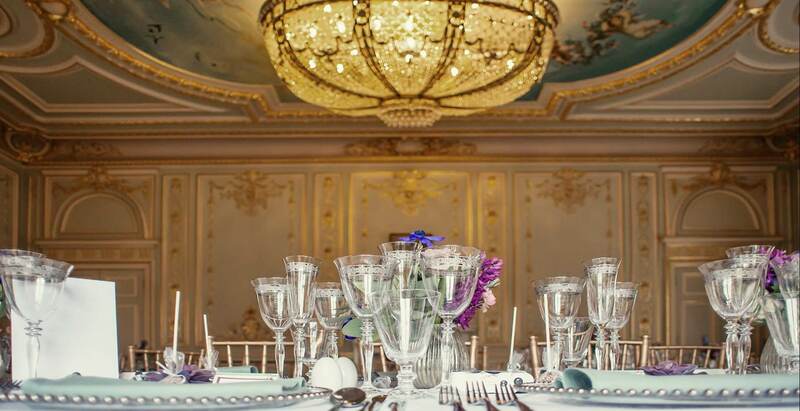 We have partnered with some of the best catering companies, all of whom are familiar with the house and bring together exemplary service, exquisite menus and unparalleled experience to ensure that your wedding reception runs seamlessly. 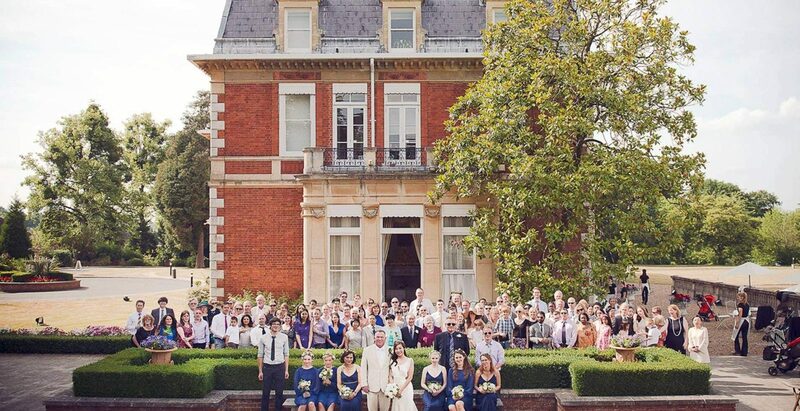 Add endless opportunities for amazing photographs, wonderful decor, and a caring, warm and attentive team; Fetcham Park really is the venue for the most memorable, wonderful wedding reception. To see all that Fetcham Park has to offer, do come and visit us. For more information about our wedding receptions and pricing, please fill in your details to download a copy of our brochure. Please click on the links for an introduction to our catering partners, Kalm Kitchen, At Home Catering and Two Many Cooks, and find answers to some frequently asked questions here.